Why Is HIPAA Important and How Does it Affect Health Care? In 1996 the Health Insurance Portability and Accountability Act was enacted. HIPAA was created for several reasons—mainly to solve issues dealing with continuing health coverage for people who lose their jobs, reducing health care fraud, creating industry-wide standards, and protecting private health information. It created policies such as the Standards for Privacy of Individually Identifiable Health Information (colloquially known as the Privacy Rule) which set national standards for the protection of private health information, or PHI, and created ways to hold medical practices accountable for security. There has been a large surge in interest in HIPAA lately because of the increase in databreaches happening worldwide. 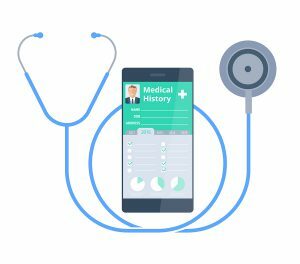 Personal healthcare information is highly sought after by identity thieves, and as criminals find new, illusive ways to steal large amounts of data, the privacy and security measures in place in the healthcare industry have received a lot of attention. Usually when HIPAA is brought up, it is in reference to rules in Title II, which cover security of private health information. Compliance with these rules is critical for a successful and sustainable healthcare organization. HIPAA is a piece of legislation designed to simplify, standardize, and solidify healthcare industry processes. From security to ease of communication between doctors, the policy seeks to provide guidelines and support for organizations that handle personal health information. The five distinct titles within HIPAA break it apart into sections. Limits the use and disclosure of sensitive PHI. Doctors are required to provide an account of each entity to which PHI is disclosed. Established national standards for securing electronically stored patient information. It requires safeguards be put in place to secure electronic PHI during transfers, receptions, and data maintenance. One of the main goals of HIPAA was to create a more streamlined and efficient healthcare system. Under HIPAA, the Department of Health and Human Services (HHS) issued standards for electronically transmitted data in order to create operational efficiencies overtime and long term savings. 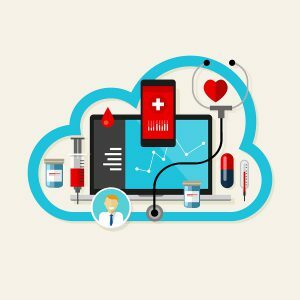 It encouraged healthcare organizations to go digital so that sharing information could be easier, it initiated standardized techniques to streamline the process, and it included safety measures to enhance the privacy of digitized personal information. At its inception, security and privacy practices were included in HIPAA, but not the main focus of the law. But with the recent surge in databreaches and hacking incidents, this portion of the law has been amplified. It’s important for healthcare providers to be aware of HIPAA because it created rules that health organizations must comply with, or alternatively, face heavy fines. Not understanding HIPAA rules or willfully violating security procedures will lead to heavy fines and mandatory structural reorganization. 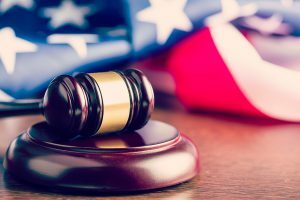 When HIPAA was first enacted, fines ranged from $100 per violation to $50,000 per violation, depending on the severity and whether the actions could have been prevented. With the addition of the Omnibus rule in 2013, penalties can now be as high as $1.5 million per violation. Keep in mind that HIPAA was enacted to create efficiencies and keep people safe. If avoiding a fine is not enough motivation to keep your data secure, think of the people behind the numbers. The more steps you take to keep your data secure, the safer you are keeping your patients. 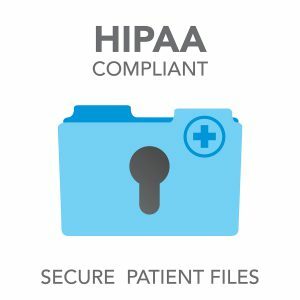 What Steps Can I Take to Avoid HIPAA Violations? The best way to avoid violating HIPAA rules is to know how they apply to your organization. Health plans, healthcare clearinghouses, and healthcare providers that electronically transmit health information are all affected. Since the importance of data security has been highlighted, you may want to invest in encryption services and train your employees every year on the state of digital security and what your company policies are. Stay on top of current laws and new tools that help you manage your data better. Cloud based data storage services are taking over because of their low cost, accessibility, efficiency, and ease of use. With this new technology comes new opportunities for thieves to reach their hands into your sensitive data, but with careful, well thought out management your data can be safer than ever. Need a HIPAA Compliant Records Management Partner? Record Nations partners with certified records management professionals throughout the country. If you need to digitize your records, find an electronic document management system, or store your physical records safely offsite, we’ll help you find a qualified provider nearby. Call us today at (866) 385-3706 or fill out the form on the right to get free quotes on local services. We look forward to helping your organization find a document management solution that works.